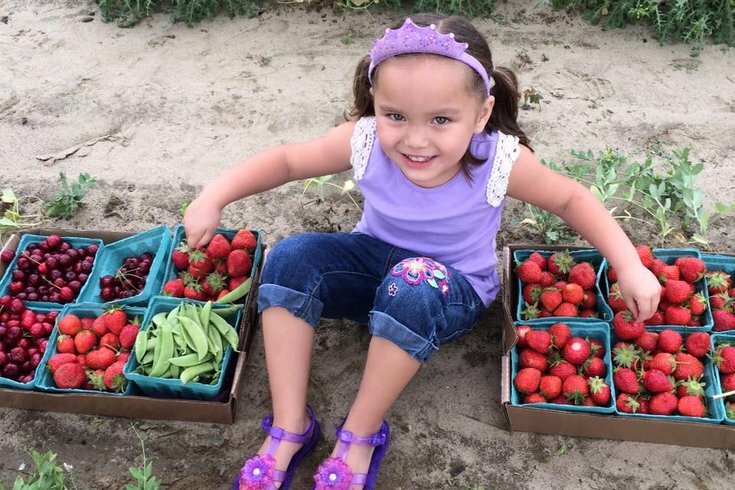 There's nothing like picking your own fresh produce straight from the field or orchard. From peaches to berries to apples, pick-your-own farms are the perfect places to find your favorite delectable fruits and vegetables. While you're at it, why not make the most out of your trip to the farm? Many farms offer more than just fresh produce. Embrace the warm weather while you and your family enjoy tractor rides, petting zoos and good old quality time. 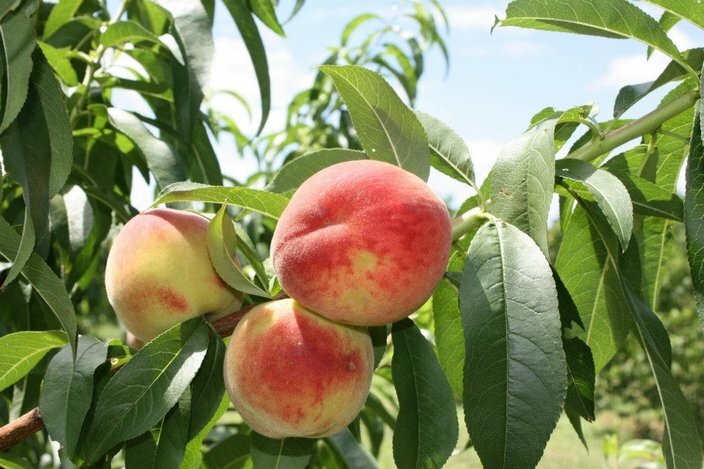 New Jersey is home to a number of farms where you can pick fresh produce. 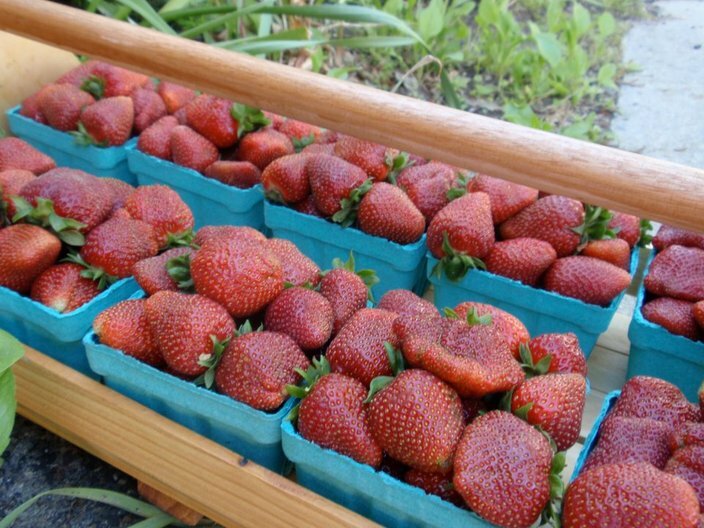 Below are seven pick-your-own farms in South Jersey to bring out the gatherer in you. Springdale Farms, which prides itself on being "Cherry Hill's last working farm," has been growing and selling fresh fruits and vegetables on Springdale Road for more than 60 years. 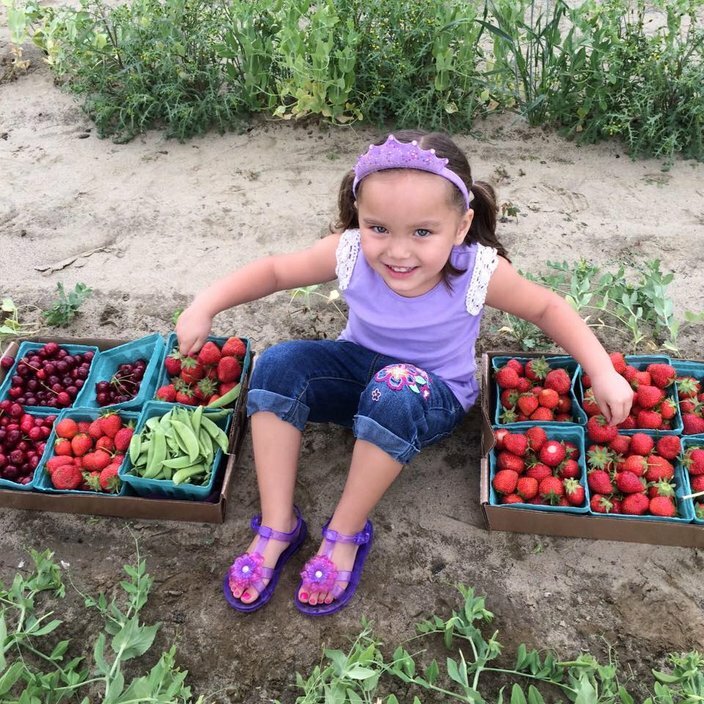 While the farm is especially known for its pick-your-own strawberries, it also offers the public a variety of other pick-your-own produce, as well as attractions like a corn maze, hayrides and a plant yard. Springdale also offers a bunch of "home baked goodness" in its bakery. From fresh apple cider donuts to home-baked pies and breads, there's a little something for everyone. 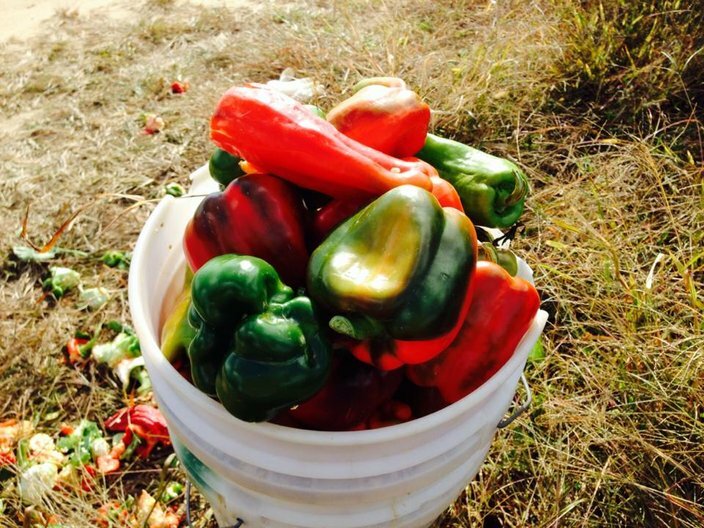 Pick-Your-Own is open 8 a.m. to 6 p.m. daily. Check out what produce is currently available for picking at Springdale Farms. Johnson's Corner Farm in Medford, Burlington County, is a place for the whole family. Visitors can enjoy hayrides to pick their own pumpkins, apples, strawberries, blueberries, peaches and sweet corn. Kids will love Johnson's Discovery Barnyard and Animal Farm, which features climbing rocks and go-cart tracks. Johnson’s was voted “Best Fall Activity” by Philadelphia Magazine and “Best of the Best” for its apple pie by South Jersey Magazine. There is now a second location, Johnson's Locust Hall Farm, in Jobstown. See Johnson's pick-your-own schedule and prices. "DiMeo's knows blueberries." The family's berry farming legacy began more than 105 years ago in 1910 with great-grandpop DiMeo. 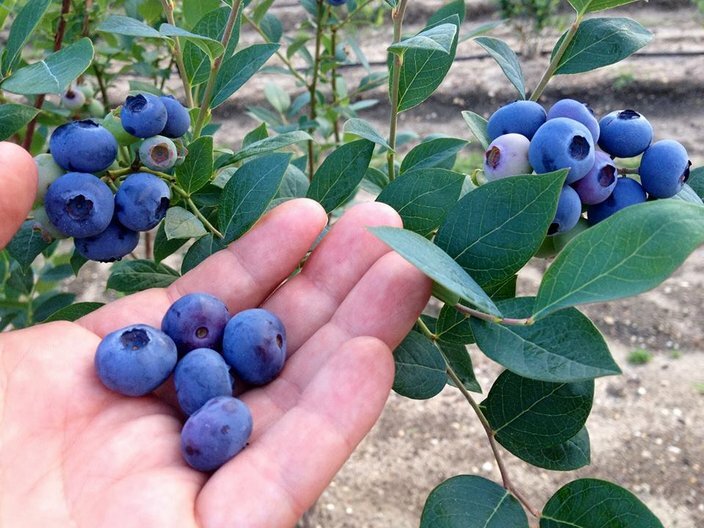 Visitors are invited to go blueberry picking at DiMeo's blueberry farms in Hammonton, Atlantic County. Bearing-size blueberry plants are also available for sale from DiMeo’s blueberry plant garden center. DiMeo Farms, surrounded by the gorgeous New Jersey Pinelands Forest region, offers pick-your-own blueberries for $1.66 per pint. Farmer Warren Stiles is a sixth-generation farmer and retired Cornell University professor who has spent more than four decades researching and teaching fruit tree production and is world-renowned for his apple research. After retiring in 1999, Stiles returned to his family farm, where he was raised, to begin a full-production you-pick fruit farm. Prior to his return, the land hadn't been farmed in 50 years. 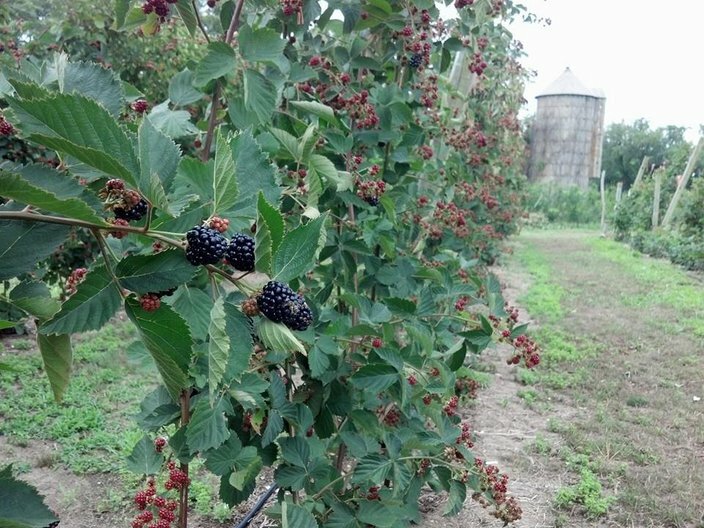 Current in-season offerings at Stiles Farm and Nursery in Cape May Court House include blueberries, blackberries and raspberries. Pome and pit fruits will also be offered soon. Hallock's U-Pick Farm in New Egypt, Ocean County, went into the "u-pick business" in 1970. The farm now has a total of 269 acres, of which 265 is cropland. Peas, cabbage, beans and tomatoes are among some of the crops currently available for picking. Hillock's also has 70,000 square feet of greenhouse space with an assortment of potted plants and flowers. Russo's Orchard Land Farm in Chesterfield, Burlington County, is a family owned and operated 250-acre fruit, vegetable and greenhouse tomato farm. Along with in-season, pick-your-own fruits and vegetables, Russo's also sells a selection of other fruits, vegetables, jams, jellies, cider, fall decorations, Christmas trees and more. Not into fruits and vegetables? How about some flower picking instead? 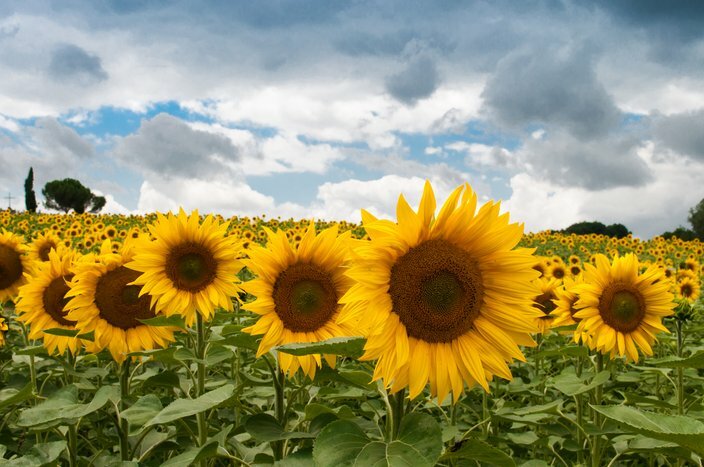 Donald Westergom owns an 8-acre plot of land at 119 Old Tuckahoe Road in Petersburg, Cape May County, where he grows and sells golden sunflowers. Visitors can pick their own or buy three for $1 from Westergom's wooden antique push cart. Westergom takes sunflower orders for weddings or bridal and baby showers. People can also stop by to take photographs of the fields and farm. *Note: Be sure to contact each farm first to ensure that the produce you're looking for is available and in-season. Happy picking!